As our world goes modern, we get to enjoy a lot of conveniences that make our lives easier. But along the way, there are also certain inconveniences that we have to put up with. Noise pollution has pervaded our modern society that most of us can do nothing but to live with it. But there are instances when we can just wish to drown out the noise to feel more relaxed. You can actually do that by having the Dubs Acoustic Filter Earbuds. 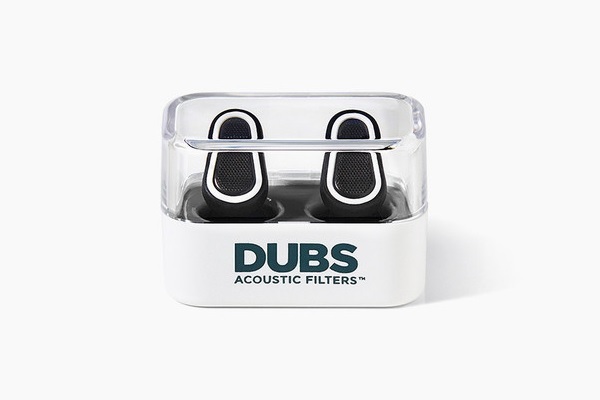 The Dubs Acoustic Filter Earbuds are advanced tech earplugs that lets you get rid of the noise but preserves the sound you really do want to hear clear and crisp. This pair of ear plugs use dynamic attenuation to reduce overall sound volume while still preserving sound fidelity. Its 12dB Noise Reduction Rating helps protect your ears without muffling the sounds that you do want to hear. The Dubs Acoustic Filter Earbuds are designed to fit into adult ears. The Dubs earbuds are available at their website for $25 a pair.